Hornbills occur across sub-Saharan Africa, through India and southern Asia, across the Indonesian and Philippine archipelagos, and east to the Solomon Islands. There are no hornbills in the New World. Within the hornbill family, 23 species inhabit Africa, while the remaining 31 are found in Asia. The largest and most widespread genus in Africa, Tockus, is represented by 13 species. The most ubiquitous of the Tockus species is the African gray hornbill (Tockus nasutus), a medium-sized gray and white bird with populations occurring from the shores of Mauritania in the west, east to the Red Sea, and as far south as Namibia and South Africa. In Asia, Aceros and Rhyticeros hornbills dominate with five genera each, occurring from Bhutan and northern India in the west to the Solomon Islands in the east. Two species of the genus Ocyceros, the Malabar gray hornbill (Ocyceros griseus) and Indian gray hornbill (Ocyceros birostris), occur exclusively in India while the third species, the Sri Lankan gray hornbill (Ocyceros gingalen-sis), is restricted, as its name implies, to the island of Sri Lanka. Several hornbill species, especially those occupying oceanic islands, have restricted distributions. The tarictic hornbills are a prime example. 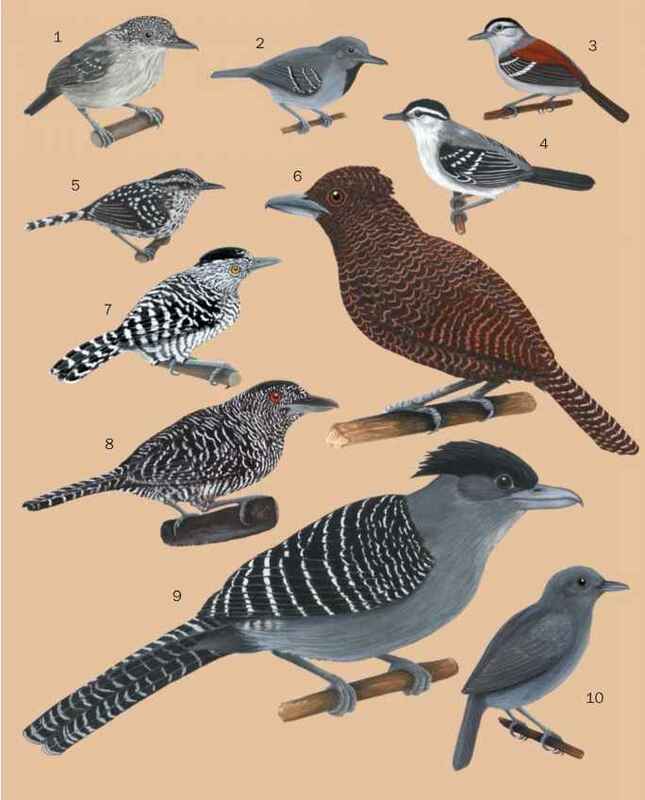 The Luzon (Penelopides manillae), Visayan (Penelopides panini), and Mindanao (Penelopides affinis) tarictic hornbills occur only on a few neighboring islands within the Philippine archipelago. A fourth Philippine species, the Mindoro tarictic hornbill (Penelopides mindorensis) is endemic to the small island of Mindoro while the fifth species of the genus, the Sulawesi tarictic hornbill (Penelopides exarhatus) is found only on the Indonesian island of Sulawesi. Several other species are endemic to single islands, including the Sulawesi red-knobbed hornbill (Aceros cassidix), the Sumba hornbill (Rhyticeros everetti), and the Narcondam hornbill (Rhyticeros narcondami).